Legends about magnetic mountains go back to the classical era. Ptolemy recounted a legend about magnetic islands (now thought to be near Borneo) that exerted such a strong attraction on ships with nails that the ships were held in place and could not move. 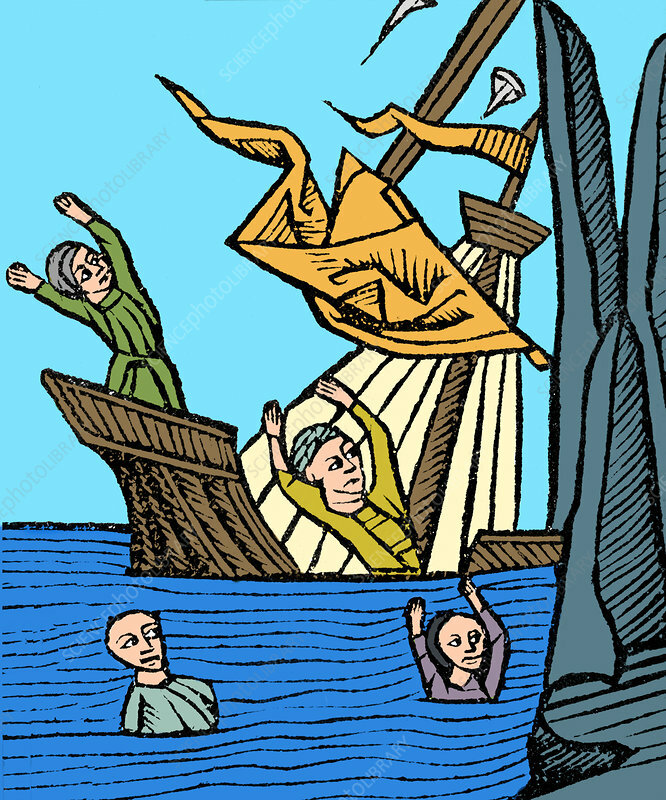 Even more dramatic was the Arab legend (recounted in One Thousand and One Nights) that a magnetic mountain could pull all the nails out of a ship, causing the ship to fall apart and founder. Excerpted from 1850 Burton translation: We slept not that night, and in the morning we found ourselves much nearer the Loadstone Mountain, whither the waters drave us with a violent send. When the ships were close under its lea, they opened and the nails flew out and all the iron in them sought the Magnet Mountain and clove to it like a network, so that by the end of the day we were all struggling in the waves round about the mountain. The story passed to Europe and became part of several epic.